Pack up your ropes, caribiners and crampons. 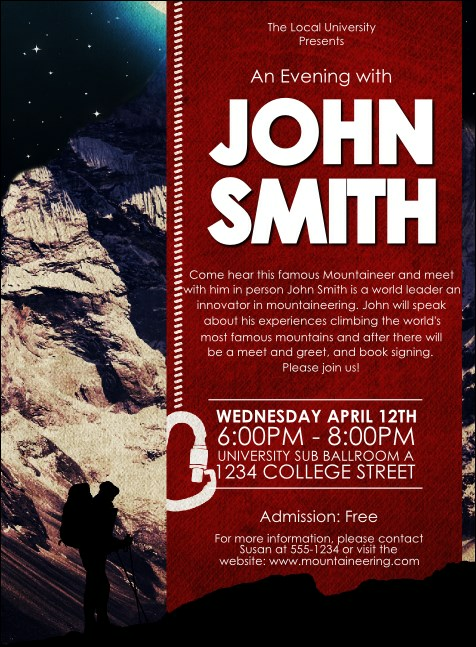 Invite fellow adventurers with the exciting Mountaineering Invitation. This nature-themed design showcases a brave climber approaching the next route. List all your event details on twenty lines on the template and send to your guest list. RSVP to your next adventure with the right invitation from TicketPrinting.com.